Even though I’ve had a hard time with tomatoes this year due to the cool weather, I’ve had good luck with peppers. For the last couple of years I’ve been growing peppers in the greenhouse in hanging planters and have been pleased with the results. This year, I grew two varieties: King of the North (pictured above) and Italian Sweet. 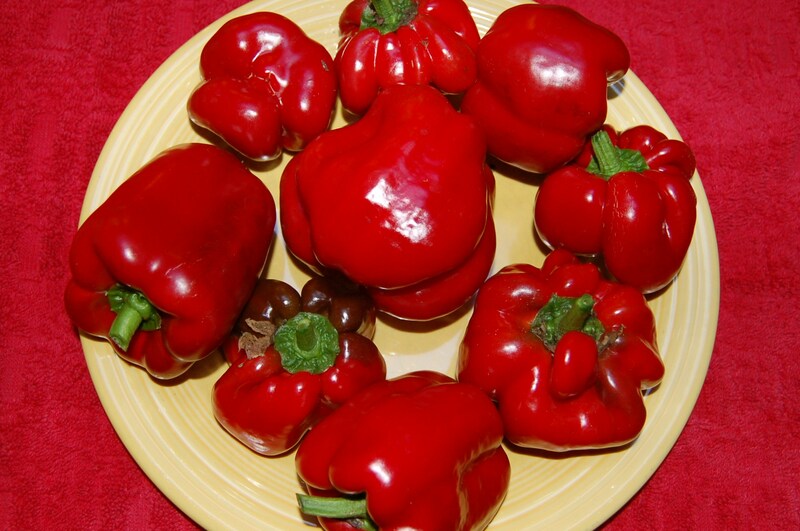 The King of the North peppers are a classically shaped, squat looking sweet pepper. The Italian Sweet peppers are long and thin. Both have done well and I’ll grow both again next year. Learning from Tom @ Tall Clover Farm’s troubles, I paid extra attention to the peppers when I grilled them tonight. They turned out just right. Yum! 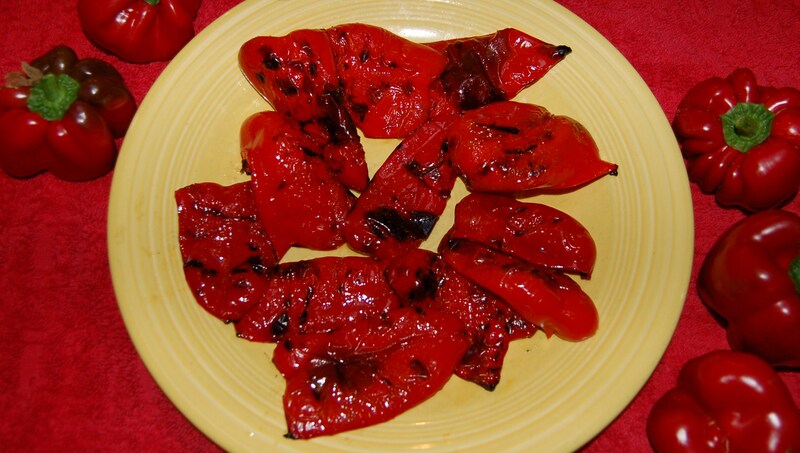 This entry was posted in Cooking & food preservation, Gardening and tagged peppers. Bookmark the permalink. I grew those peppers a few years back. Really wet season and they did well. I should give them a go again, yours look excellent! I also grew the sweet italian but had them outside in pots. They were doing great – sized up fruit, healthy plants – when they were struck by a fungal infection of some kind. Lost alot of the fruit and had to harvest the rest green. Very disappointing. I am going to grow them in the greenhouse again next year. That’s what I did exclusively last year and had a great crop. Sandy, I’m amazed at these peppers–grown outside the greenhouse? I tried Gypsy sweet peppers this year and they were doing great until the August rains and cool temps arrived. There are a few ripening slowly and a few I’m eating green… But your varieties are going on my list for next year! Lovely peppers! This cool summer has been a challenge all along the west coast, but you seem to have figured out the trick, those peppers look just perfect. Gorgeous peppers. I keep looking for a good pepper for our typically cool summers. Usually the big ones don’t like to set here. They just have tiny little peppers. To be clear, I grew these peppers in the greenhouse. I’m not sure how they would have done outside, although I’m pretty sure that with our cold, wet summer this year they wouldn’t have done well. Interesting to see this image. Tomatoes is one of my favorite vegetables and It is good to have tomatoes on daily basis it is actually good for health and advice by almost every doctor.